Eric Clapton has revealed in an interview with Classic Rock Magazine that he’s been diagnosed with peripheral neuropathy. Peripheral neuropathy, results from damaged peripheral nerves and causes muscle weaknesses, numbness, and pain sensations, usually in the hands and feet. There are multiple causes of neuropathies, including, but not limited to: alcoholism, diabetes, tumors, and vitamin deficiencies. 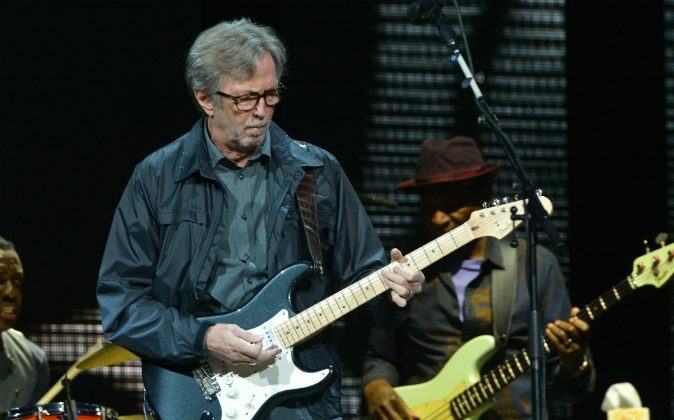 Earlier in life, Clapton was addicted to drugs and alcohol, and at one point would spend nearly $16,000 on heroin per week. Despite the diagnosis, the 71-year-old expresses gratitude for even being alive, given his previous hard-partying days. Back in 2013, the rock legend was forced to cancel several tour dates due to severe pain. “It’s hard work to play the guitar, and I’ve had to come to terms with the fact that it will not improve,” he admitted during the interview with Classic Rock. Yet the three-time Rock and Roll Hall of Fame inductee continues to make music. He released his 23rd album “I Still Do” in May, which topped the Rock charts.